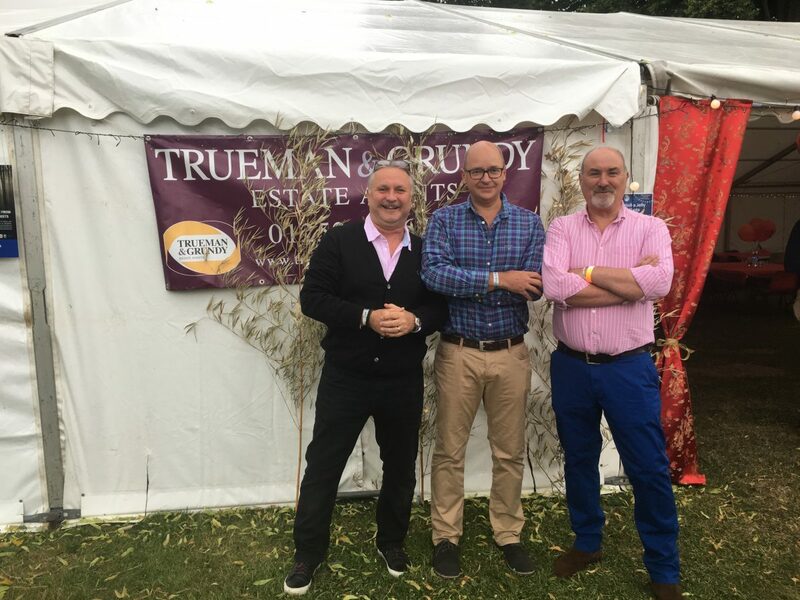 Trueman & Grundy are proud to sponsor The Autumn Bazaar at St Mary’s school Frensham on Saturday 18th November 2017. Trueman & Grundy are proud sponsors, supporters and participants of Howzat Charity Cricket fundraising events and cricket matches. 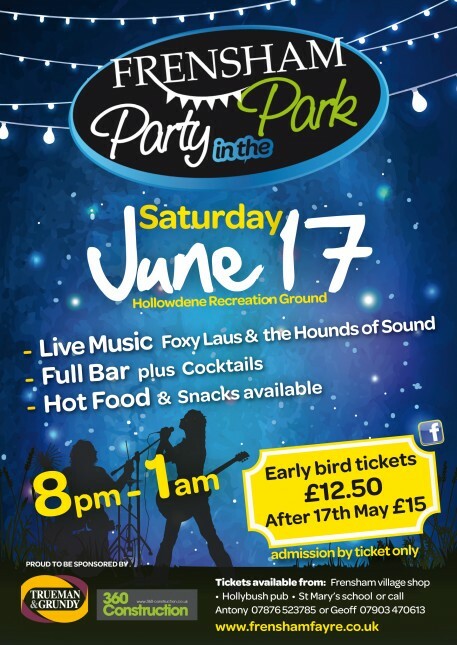 This sell-out annual summer event on Saturday 17th June 2017 from 8pm – 1am will this year feature Foxy Laus and the Hounds of Sound Band. Mouth-watering hot food washed down by beers and cocktails served by the Hollybush Pub and new for this year is a bucking bronco competition! 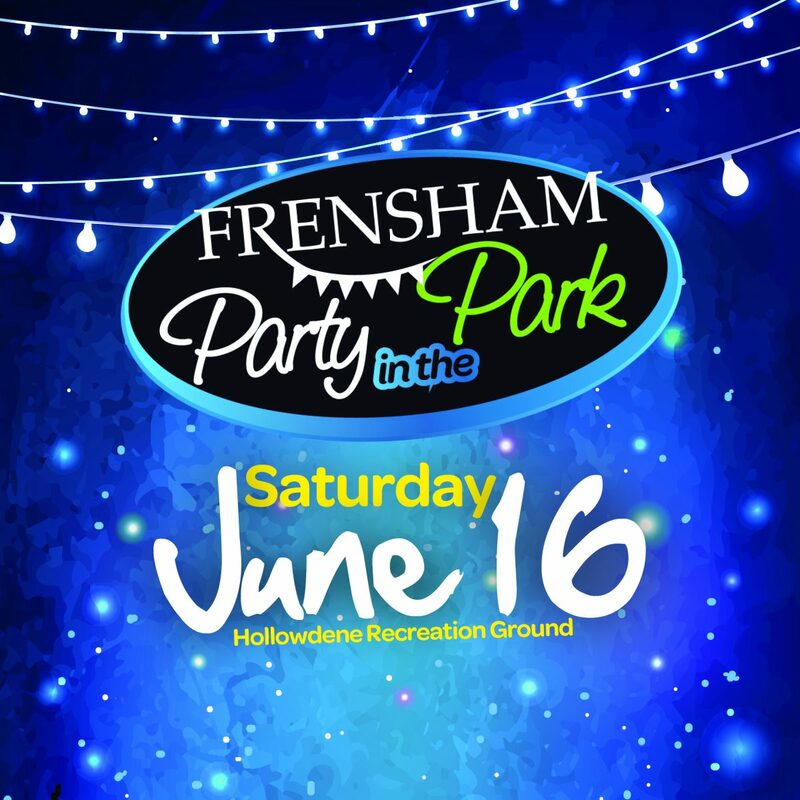 With the Spring Festival just days away, Farnham Town Council is getting ready to take over Gostrey Meadow for the Bank Holiday weekend on Sunday 28 May. 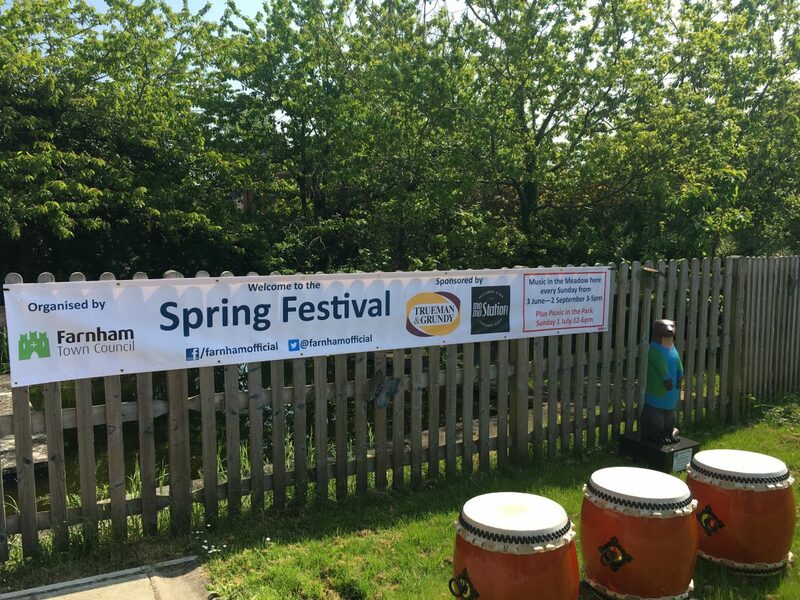 The Spring Festival is set to be an afternoon of music, lively activities, community spirit, and includes food and drink stalls, family games and a mini funfair. 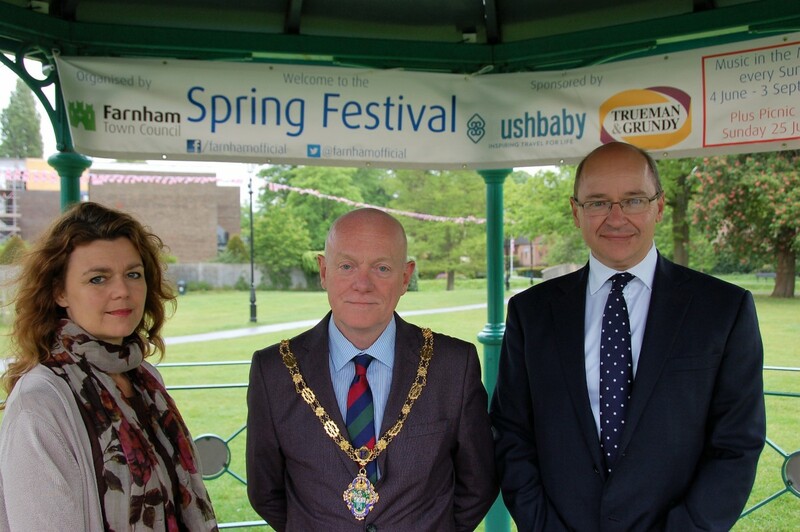 Sponsors of the Spring Festival, travel specialists Bushbaby Travel and local estate agents Trueman & Grundy, met the Mayor of Farnham to put the final touches to the programme, which the sponsors and organisers promise will appeal to both young and the not-so-young. The Festival opens with a performance from the Rock Choir at 2pm and continues into the evening, closing at 7pm. 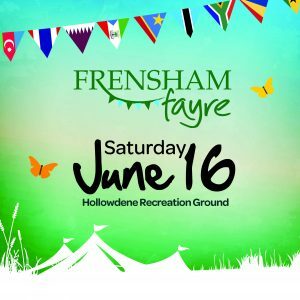 Festival-goers will not be short of things to do as the timetable is packed with activities, ranging from a masterclass in Japanese drumming from Farnham Taiko club to the chance to pick up some ball skills from Aldershot Football Club. There will also be a street dance workshop run by The Dance Movement. 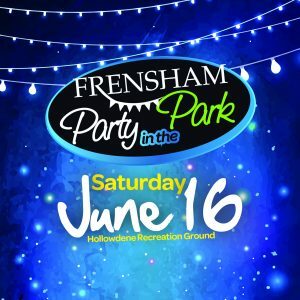 If all that sounds too tiring, there will be a chance to get creative at the Farnham Maltings’ pop-up craft stall or just bring a picnic blanket and sit back to enjoy an afternoon of live music from local acts including Brass Monkeys, Mirrorsong and Grandpa’s spells. Other activities include stocks, colouring competitions, total wipe-out, giant sumo wrestling and much more! 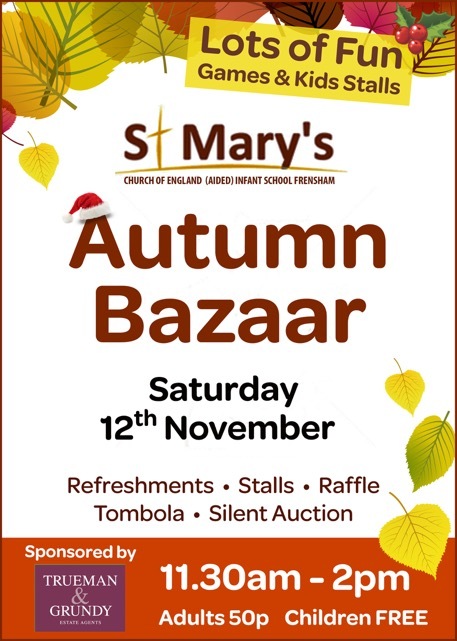 We are proud to sponsor Friends of St Mary’s Autumn Bazaar 2016. 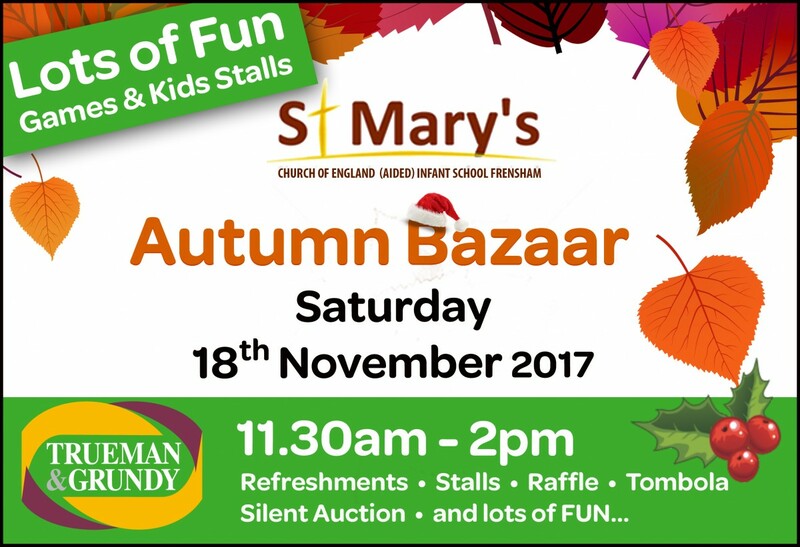 The Friends of St Mary’s (FOSMS) have received sponsorship for their successful Autumn Bazaar in 2014 and 2015 along with sponsorship for Party in the Park in June 2016. Sponsors of Farnham Town Council supporting and promoting events in Farnham. 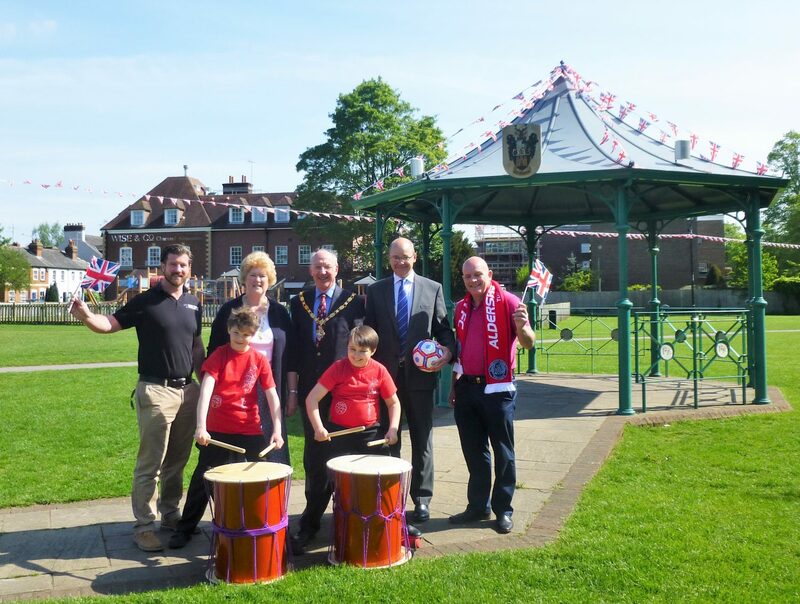 To celebrate the Queen’s special birthday, the new Spring Festival took place on Sunday 29 May marking the start of the summer event season in Farnham. 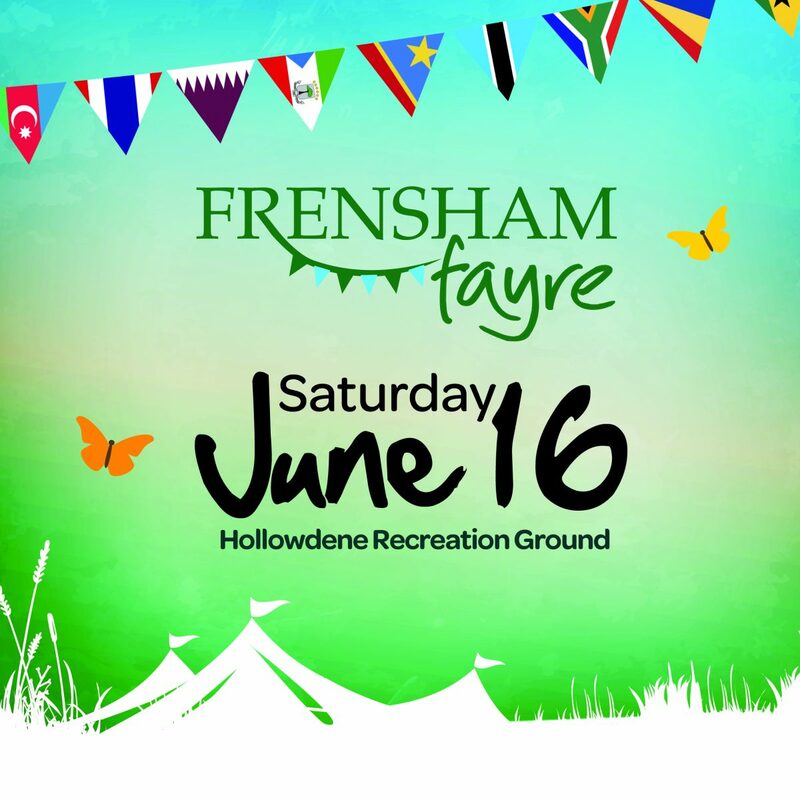 A variety of family activities, a selection of live music plus a number of food and drink stalls filled Gostrey Meadows. 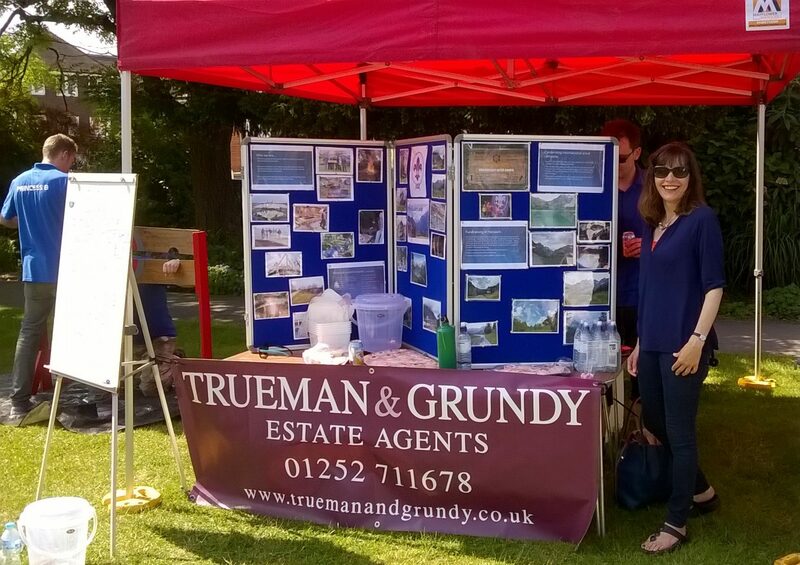 Trueman & Grundy donated their stall to Summit Network Scouts who were raising money for their Summer Camp to Kandersteg, Switzerland. I just wanted to say thank you for the opportunity to use your Trueman & Grundy stall at the Spring Fair as fundraising for our Network Scout Unit. We had a great day, with a display board promoting what we do as Network Scouts and also a section on the upcoming Summer Camp to Kandersteg in Switzerland. The ‘stocks’ seemed to go down well with members of the public willing to pay money to soak any one of the Network Scouts. We also had a few dads and granddads happy to get locked in the stocks for kids to throw wet sponges at them! The biggest cheers was for the Town Clerk who ‘volunteered’ to get soaked to help raise money. 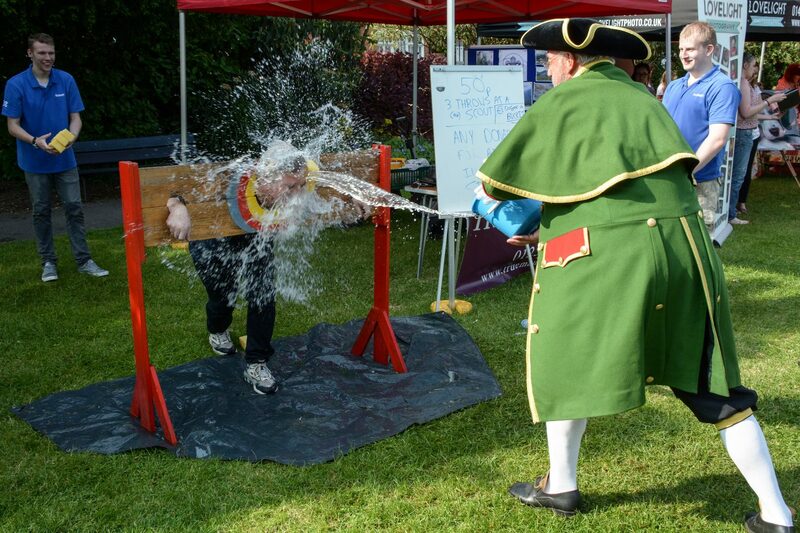 The biggest bucket of water was reserved for the Town Crier who seemed to enjoy launching in at Iain Lynch. The announcer kept saying that Trueman & Grundy were manning the stocks and to look out for the Town Clerk’s soaking, so hopefully you got some good publicity out of it and we represented you well. We raised £111.50 in total which will help towards our trip to Kandersteg. Thanks again for the opportunity, and I hope it was positive for your company. 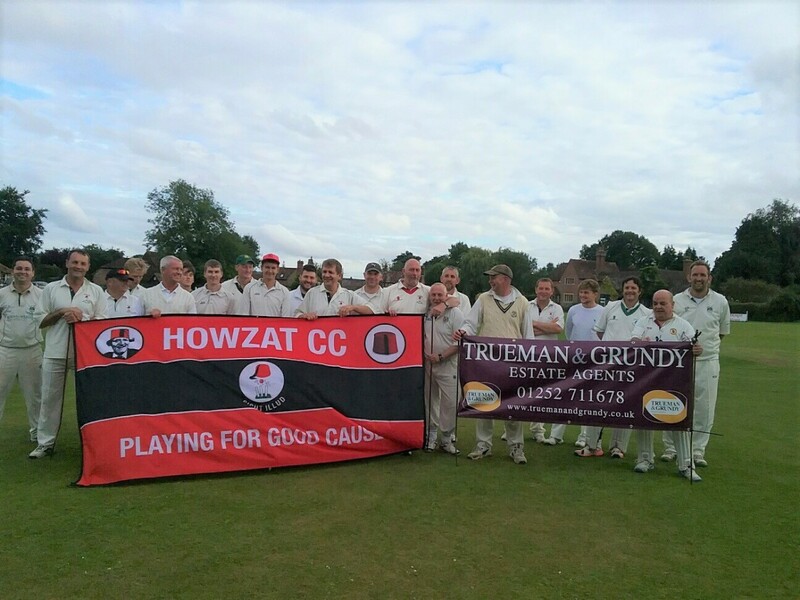 The Youth Section of Frensham Cricket Club proudly wear Trueman & Grundy branded shirts throughout the season. Sponsors of Farnham Rugby Club. 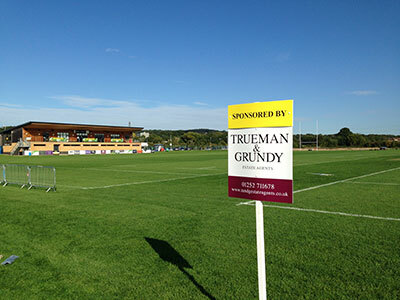 Trueman & Grundy were proud to support the 2015 European Veterans Rugby Association Festive held in October 2015. The Festival coincided with the 40th anniversary celebrations of Farnham RUFC, one of the “youngest” English clubs. 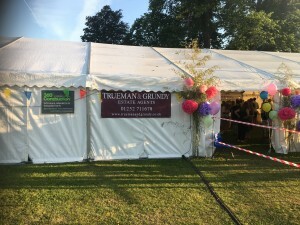 Trueman & Grundy are supporters of Macmillan Cancer Support, sponsoring local fundraising events and hosting a donations tin.